Read It! Escaping The Delta, by Elijah Wald | Brad's All Vinyl Finds! 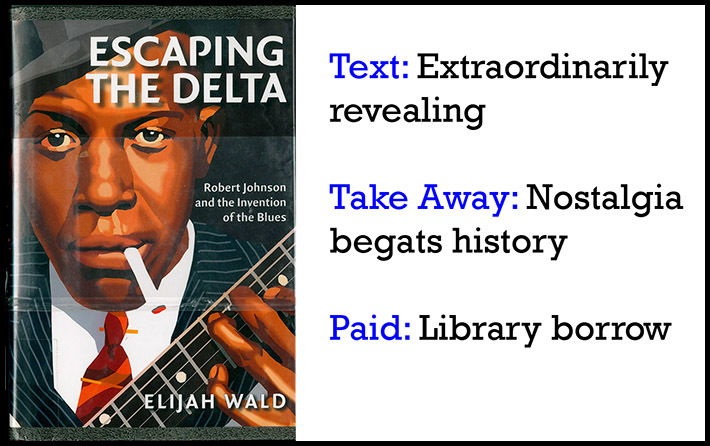 I’ve read a lot of music biographies and histories, but Escaping the Delta, by Elijah Wald, might just be the best. Wald dissects the way we look at the blues today, versus the way Americans looked at it back when it was fresh and new (the early 1900s). The differences are startling. 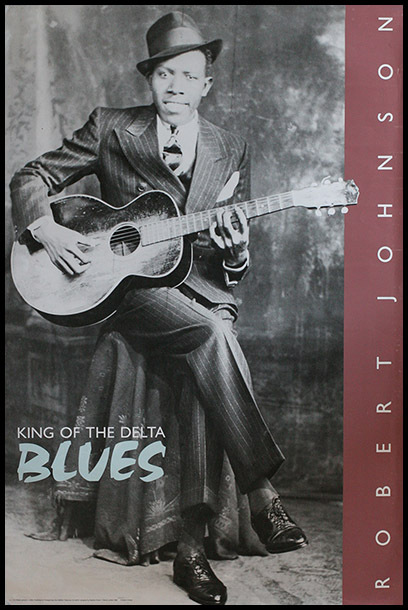 Perhaps most interestingly, he reframes our perception of the King of the Delta Blues, Robert Johnson…or at least, the man the Columbia public relations department claimed was the King of the Delta Blues on a 1961 record album. I found Wald’s writing method to be very endearing. He doesn’t make claims without backing it up with his research, which he explains in detail. If you enjoy mysteries and their unraveling, Wald is a master at making his case. He doesn’t just tell you to believe him, he tells you how he came to a conclusion in an honest, simply written way. And often, his way is to talk to the people who lived the blues, or lived where it occurred. Wald knocks on doors, reads the newspapers of the times and connects the dots between his assertions and say, and advertisement in a local paper. Wald is a musician who has played with many blues artists. He hitchhiked around the country and wrote a book about it. He has visited the Mississippi Delta several times. Rather than sit at a desk and search the internet for all his sources, he does his best to live the music he’s talking about. In 1991 he played at the dedication of Robert Johnson’s gravesite. The man who gave the sermon that day, Rev. 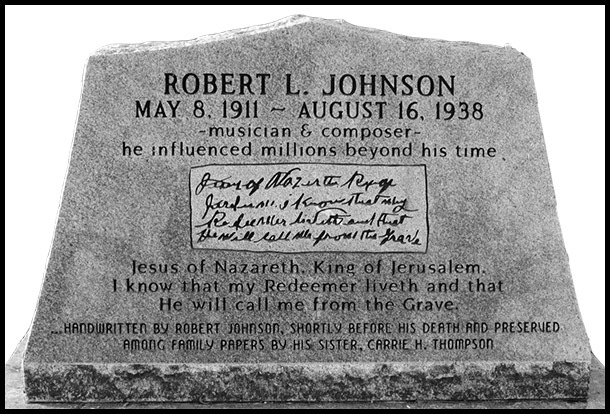 James Ratliff, had never heard of Robert Johnson, even though he was being buried at his church. Right off, that tells you something about RJ that doesn’t make sense, but thickens the mystery about him. And the only reason we know this is because Wald asked Ratliff about Johnson. It’s the kind of reporting that real journalists do. Whoa, are you kidding? The African-Americans currently living in the Delta didn’t know who Robert Johnson was? The King of the Delta Blues, unknown to the locals? This is exactly why Wald’s book is so fascinating. 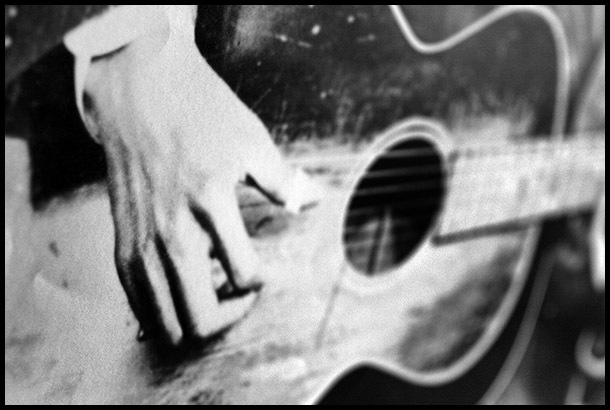 It made me realize how out of step I was with the reality of Robert Johnson, and of the blues…perhaps of much of the music I thought I understood. “Do you know who Robert Johnson is? Well, actually John Johnson founded Ebony. Robert L. Johnson founded BET television in 1979 and ironically, was born in Mississippi. I smiled to myself after having this conversation with Youngblood. Like Wald, I’d found a modern day person who lived not far from the Delta, who’d never heard of the King of the Delta Blues. My own knowledge of Robert Johnson came from magazine articles trumpeting the 1990 Columbia release of his entire catalog on two CDs. I had not heard of Johnson before that, yet he was proclaimed to be the most important blues artist ever. I’d always thought of B.B. King as the man. So I believed what I read. 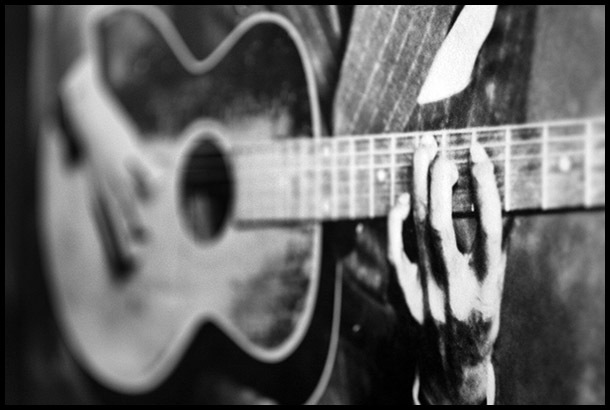 So who was Robert Johnson? The King of the Delta that I’d read about, or an anonymous traveling minstrel, known only to the locals of his day, soon to be forgotten? The book does a wonderful job of explaining Johnson’s identity is largely a product of modern-day interpretations, and that in his day, he was no king. Before jazz, there was blues. So I’ve always assumed that all the black musicians of the late 1800s and early 1900s were playing blues, and nothing but. In his book, Wald quotes Son House. “The old songs they used to sing way back yonder, weren’t none of them pertaining to no blues,” House said. 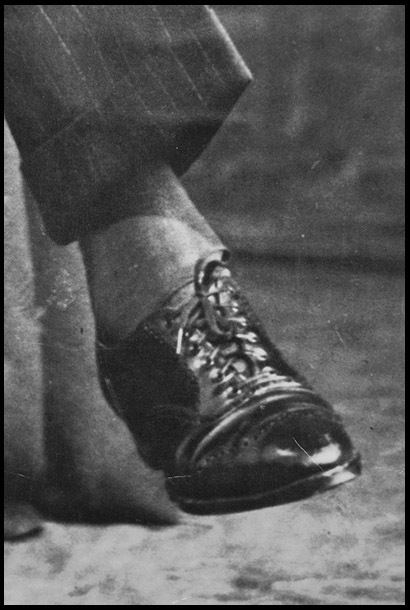 Take the photo of Johnson, wearing his Sunday best, hat and shined shoes. Are these the clothes of the down and out yet authentic blues artist, suffering for his craft? Or those of a man who wanted to entertain his audience and make a buck in the process? The modern-day listener would like to believe the former, but it’s probably the latter. 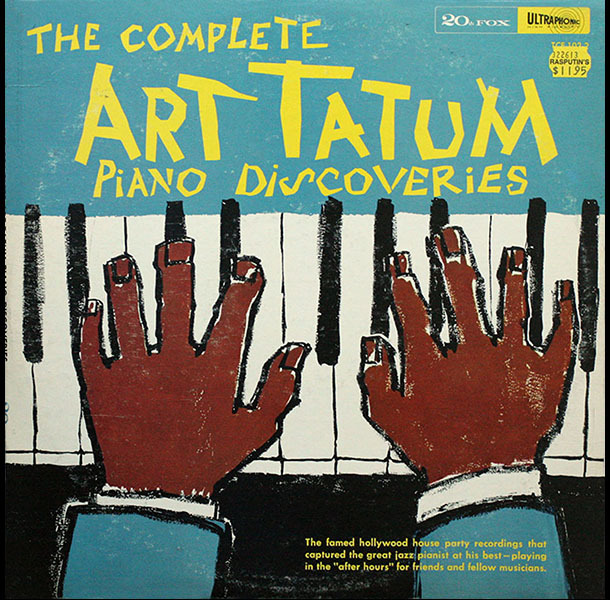 I recently picked up a 1956 LP by jazz piano great Art Tatum, where he was recorded at a party, playing freely and with great virtuosity. It’s claimed to be his best performance precisely because he is playing for himself, relaxing at someone’s house, versus a paid performance on stage. And what music does he choose? A mix of jazz standards and pop songs that he was familiar with…just the kind of thing that Wald asserts the “blues musicians” would have done. 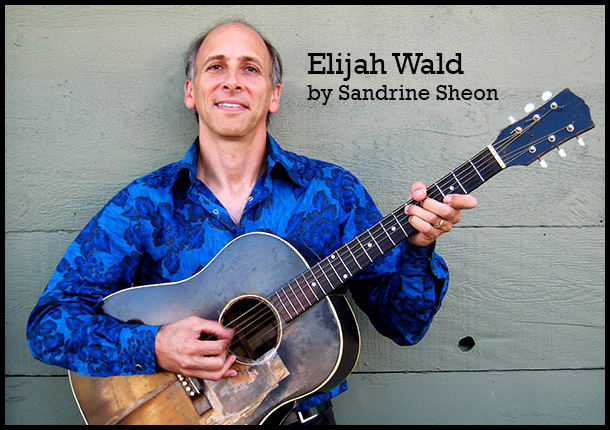 Wald does not discount Johnson’s contributions to American music, stating that “The point is not that the common preconceptions about Robert Johnson’s musical world are entirely wrong, but rather that they are part of a much larger story.” After all, RJ’s songs have been covered by numerous artists and many of these musicians profess their debt to him. In that sense, the King of the Delta Blues moniker might be appropriate. But I wonder if Johnson might laugh at that assertion. Billie Holiday never thought of herself as a blues singer, but the movie about her life is called “Lady Sings The Blues.” Hmm. Was Johnson strictly a blues musician? Almost certainly not. Like the other musicians around him, he probably played a variety of music to suit the tastes of his audience. It’s just that the only recorded music we have by the man is the blues. 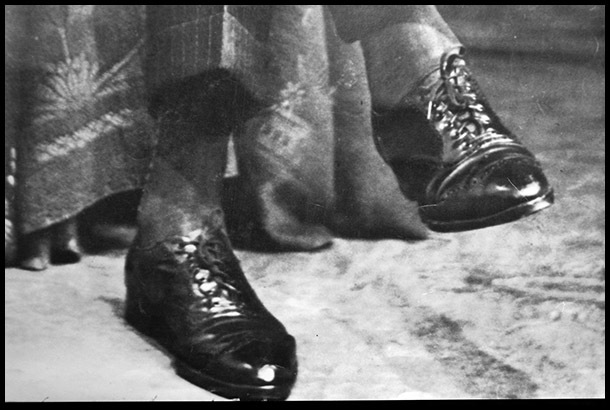 Have we pigeon-holed Robert Johnson? Is it possible he was more than the King of the Delta Blues? Had he lived longer (1911 to 1938), would he have morphed into the slick, wide-ranging entertainer he seems to be in this photo? Would his career path been similar to Louis Armstrong’s, who went from jazz trumpeter to world-renowned entertainer? Escaping The Delta presents a version of American music history that is most insightful and emphasizes the musicians in their time and place. 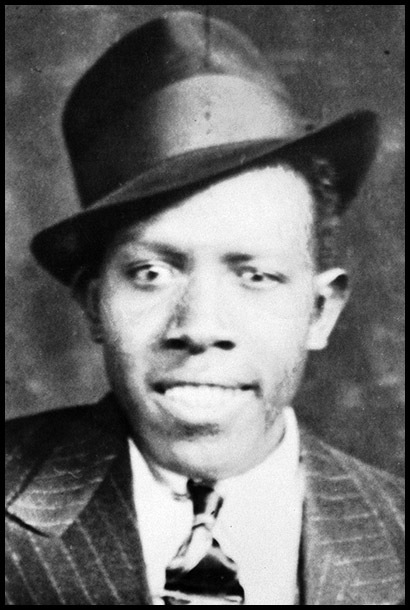 Like all human beings, Robert Johnson was of his time and could not be anything else until we got ahold of him decades after his death and stuck a label on him. I cannot recommend Wald’s book more highly. Easy reading, fascinating and revolutionary in its approach to music history. Includes chapters dissecting Johnson’s recordings. Read it! ALSO RECOMMENDED: My accompanying blogpost where I compare Columbia’s Robert Johnson CD box set, released in 1990, with the Columbia vinyl LP released in the early 1980s! Compared strikes again!